Like Pavlov's dogs, humans have been trained to respond to cues to purchase things. Good information to know for savvy buyers, salespeople and even housewives! December 11, 2012 /MarketersMedia/ — Los Angeles, Ca. Selling Outside the Square: 'Creative Ways to Help YOU Make More Sales' is more than just a book. Like a happy-go-lucky companion who has a lot to say about selling, buying and everything that comes in between, it offers guidance for salesmen as well as savvy customers who want to know how to avoid the insider tips and 12 weird little tricks salespeople secretly employ to persuade shoppers to buy more things. The book offers a modern take on salesmanship and how selling can be made fun and interactive both for the customer as well as the salesperson, housewife or trophy husband. Perhaps a better title might be: Selling Outside the Square: Tips and Tricks for Selling to the Me Generation” because that is the main focus: how to sell to our current Generation Me society which most sales books never talk about. In fact, other sales guides preach the importance of setting goals and hard work which is well and good but the end result is they make selling seem overly-manipulative and/or boring. Selling Outside the Square is different because it feels fresh, current and is fun to read. The format of the book has a very conversational tone to it making the content seem more honest, funny and personal. It is a book that may be an even better book to listen to as well in order to get the best hang at selling and buying. 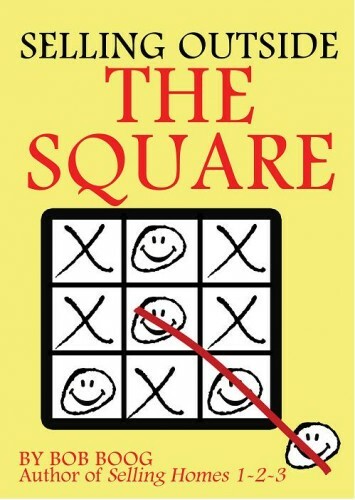 Learn more about 'Selling Outside the Square' on Goodreads, Amazon or Facebook.